Walking along Hastings Street in Vancouver, arm in arm with his wife Jodie, Marc Emery looks like anything but one of America’s most wanted drug dealers. But he is in fact number 46 on a list of 50 dangerous drugs criminals. His days as a free man are numbered: he is about to be extradited to the United States to be locked up. The couple enters the building at No. 307, which they refer to as their ‘international headquarters’. The building is decorated in green and filled with an entourage of followers. The headquarters features a store, an editorial room, a recording studio, political offices and a smoking cafe. Everything related to marijuana is sold here – except marijuana, because that’s illegal. If you want to smoke a joint in the cafe, you have to bring your own. Not that it is hard to come by in Vancouver, a city nicknamed ‘Vansterdam’. 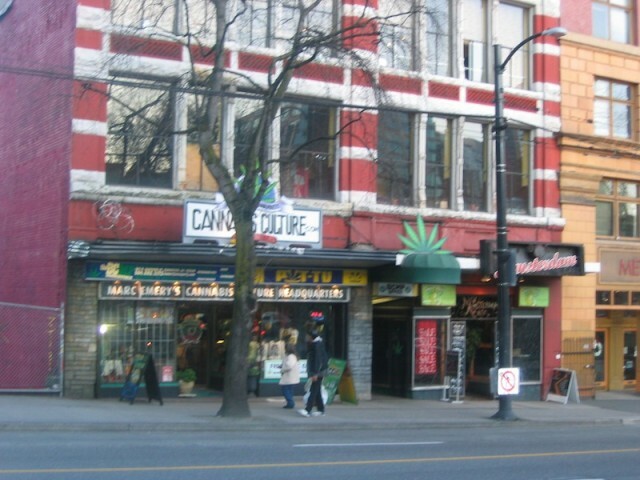 Marc Emery’s ‘international headquarters’ in Vancouver. Emery, a tireless proponent of the liberal cannabis culture on Canada’s West coast, takes a seat in the office of his Cannabis Culture magazine. He wants to make the best of his last days of freedom, he says, before he begins to serve his five year jail sentence for trafficking marijuana. After an extensive legal battle, he has struck a plea bargain with US prosecutors: a guilty plea in exchange for a lighter sentence. He is free on bail until the Canadian Justice minister signs his extradition papers, expected in January. It’s a setback, acknowledges Emery (51). “But if I go to jail for five years, that doesn’t undermine the huge accomplishments we were able to make,” he adds, pointing to the growth of millions of cannabis plants in Canada and the US from seeds he has sold. Emery is going to prison for the sale of millions of cannabis seeds to American buyers. Between 1994 and 2005, he openly sold large quantities of seeds by mail order. He sold in packs of ten, for up to $100 (US), to customers all over North America and beyond. With the proceeds, he financed campaigns to legalize marijuana in various countries and US states. It earned him international fame, and the nickname ‘Prince of Pot’. 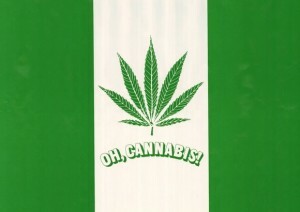 The Canadian flag in green, with a cannabis leaf instead of a maple leaf. Trade in cannabis seeds is illegal in Canada and the US, but the law in Canada is rarely enforced. At most, it is punished with a fine. Vancouver police turned a blind eye as Emery’s operation grew into a multimillion dollar business. He paid taxes and courted publicity. By his own estimate, he has given away 4 million dollars in profits to political initiatives, including his own Marijuana Party. The strategy worked. As ringleader of the cannabis industry in the Canadian province of British Columbia (B.C. ), Emery contributed to an explosive growth of weed cultivation on the west coast over the past 15 years. The sought-after marijuana from the area, known as ‘BC Bud’, is widely estimated to be the largest economic product of the region. Cultivation of marijuana plants in tens of thousands of illegal ‘grow-ops’ is estimated to be worth $7 billion (Canadian) annually. 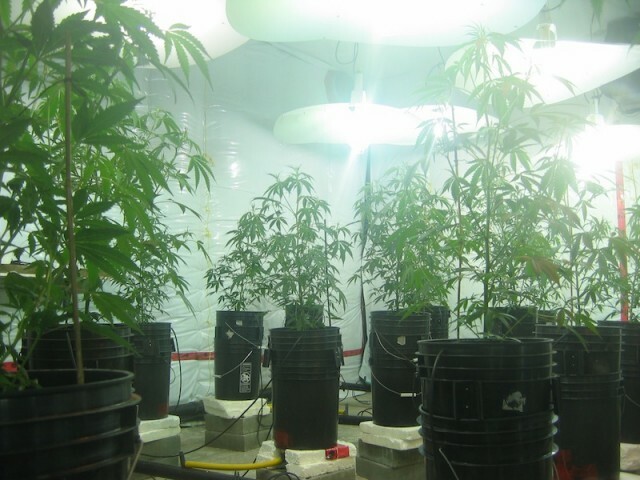 Marijuana grow-op in British Columbia. The DEA decided to intervene. Under pressure from the Bush administration, Emery was arrested in 2005 by Vancouver police on an extradition warrant. He was charged with marijuana trafficking and money laundering for his funding of political activities – activities that were tolerated in Canada, but that were punishable by 20 years to life in the U.S. The DEA hailed Emery’s arrest as “a blow to the marijuana legalization movement”. Emery began a legal struggle against his extradition – an uphill battle, as Canada does not usually refuse U.S. extradition requests. And the current Conservative government was not about to make an exception; it has introduced a bill in parliament to impose tougher sentences on cannabis cultivation. Plans by the previous Liberal cabinet to decriminalize possession of small amounts of weed have been scrapped.